Ana Maria Matute was born in Barcelona, Spain. Her early education was disrupted by childhood illnesses, her family’s frequent moves, and the Spanish Civil War. At age four, she went to live with her grandparents in Mansilla de la Sierra, a small town in the mountains, during recovery from a serious kidney infection. She would later use the region as a setting in her writings. While still in her teens, she published her first short stories and became a professional musician. In 1948, she published her first novel, Los Abel (The Abel Family). She matured as a writer during the fascist Franco years (posguerra period), and some of the recurrent themes in her work are violence, betrayal, and alienation, with an emphasis on the feelings of children and adolescents. She was known for adding elements such as myth, fairy tales, the supernatural, and fantasy to her writings. Her work was sometimes censored by the Francoist government. Matute also was a university professor, and traveled to various countries as a guest lecturer or instructor. In addition to the novels for which she is best known, she published several collections of short stories. Her literary prizes included the Cervantes Prize in 2010. Ana María Matute is currently considered a "single author." If one or more works are by a distinct, homonymous authors, go ahead and split the author. 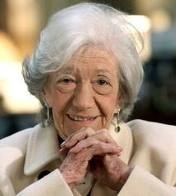 Ana María Matute is composed of 19 names. You can examine and separate out names.